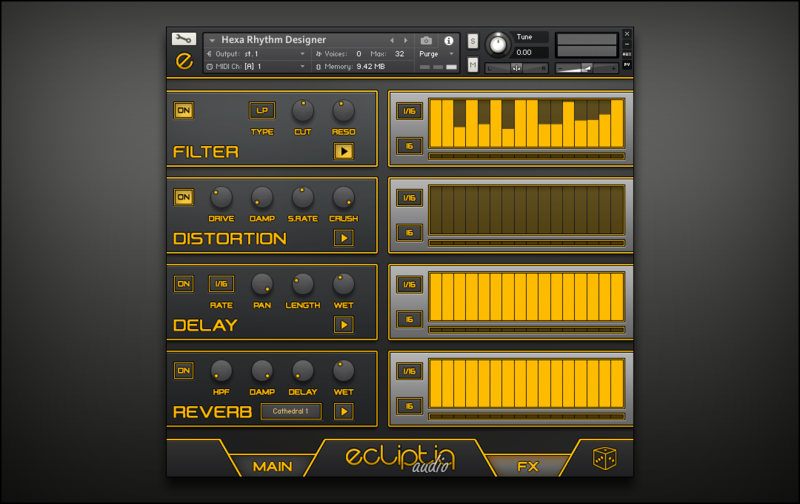 The first instalment of Ecliptiq Audio's brand new Hexa Series brings you a fine collection of heavily processed drums. 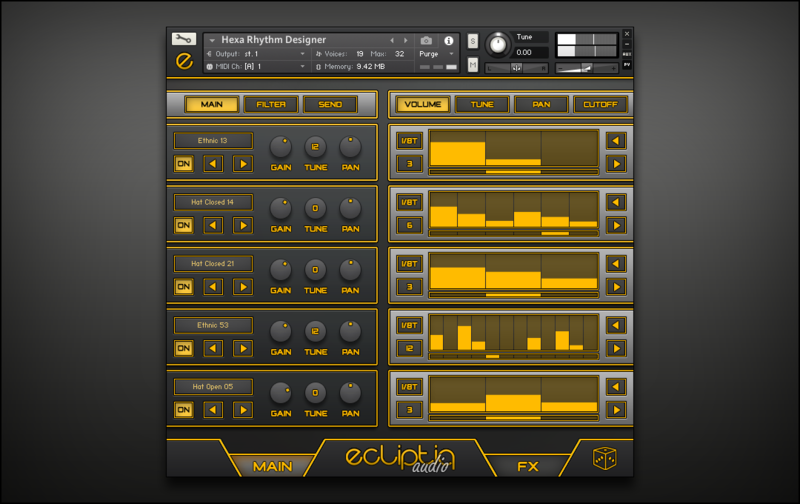 Armed with two straightforward Kontakt engine, take control of the multisampled percussions with the trailer drum kit, or create complex loops in seconds with the rhythm designer. The Rhythm designer engine features 250 percussion sounds with 8 velocity layers. Combine them freely in the 5 layer, 32 step sequencer. The engine comes with 150 snapshots to kick-start your production. The Rhythm Designer is equipped with flexible randomisation options: Change the layers, sequencers and sounds individually or all together. With the dedicated FX sequencers, the engine also offers deep sound design options.